Sherrill S. Cannon as a multi-published and multi-award winning author has written five rhyming children's books that have won a total of seventeen national awards since 2011! Each book is unique and themes may differ; yet all her books weave a common thread of respect, manners, kindness and appropriate behavior for young children. 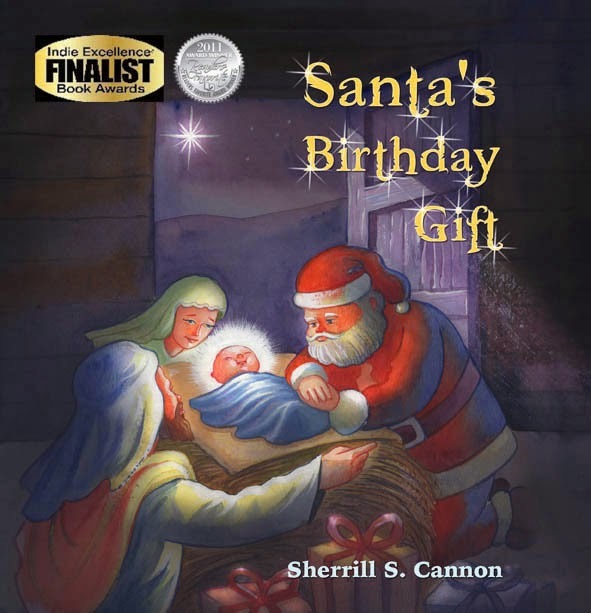 Santa's Birthday Gift, in particular, sheds light on the meaning of Christmas and includes a fascinating tale of Santa as a stargazer led to Bethlehem to discover the meaning of the birth of baby Jesus. Enchanting and delightful, this book was written for her granddaughter who asked where was Santa when reading the Nativity scene. With rhyming stories, each is colorfully illustrated and young children, along with their parents, will enjoy being entertained by the captivating rhyming story lines. With such titles as: The Magic Word, Manner Man, Peter and the Whimper Whineys, Gimmie Jimmy and Manner Man, all of Sherrill Cannon's books are sure to invigorate young readers imaginations! All of her books are recommended for children between the ages of 3 and 9. 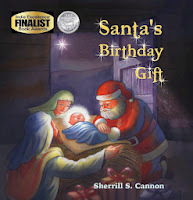 Pick up Santa's Birthday Gift at Amazon today to share the birth of Baby Jesus for those little ones that still believe in Santa! Expanding Christianity through the power and reach of Christian Book Marketing.